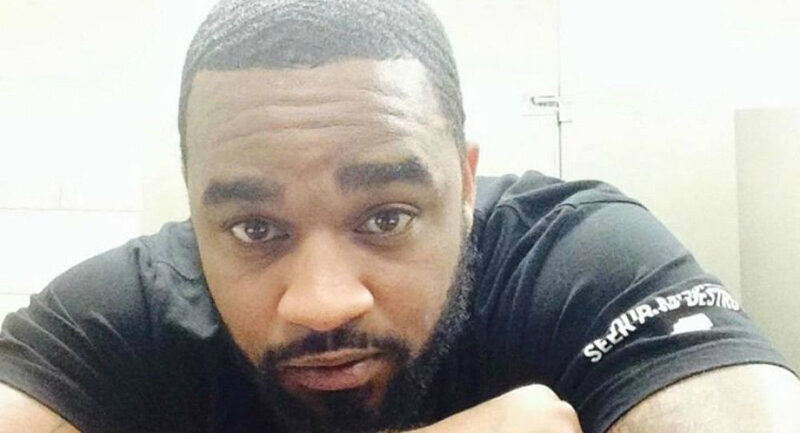 Almost three months have passed without an arrest in the case of the murder of Dominic Jerome “DJ” Broadus Jr - though it is widely acknowledged, even by local law enforcement, that they have a clear culprit in Gardner “Gar” Kent Fraser. While Florida's state's attorney says Gar certainly committed the crime, he is far, far less certain that Gar will ever face justice for what some residents and community observers are calling "an execution-style killing" in Macclenny, Florida. ​Given the long-standing issues with the administration of justice in the region, the history of race and the Ku Klux Klan in the American South, the cases of well-connected "friends and families" getting away with murder and the state's Stand Your Ground laws, one can be angered, frightened or frustrated, but sadly, not surprised, at the lack of justice. On February 3, 2018, DJ Broadus, a 31-year-old resident of Jacksonville, Florida, died after being shot in the head three times — once in the mouth and twice in the neck — in Macclenny, Florida, on property belonging to Southern State Nurseries, Inc, a business long owned by the Fraser family. Only one other person was on the property at the time of the shooting: 29-year-old Gar Fraser, the son of recently retired Baker County Deputy Sheriff Ryan T Fraser, according to the Baker County Sheriff's Office (BCSO) statement. Since the fatal shooting, additional law enforcement agencies have identified the same man as the killer, including Florida State's Attorney William Cervone. DJ's mother, Del Swain, and the rest of the Broadus family have been left guessing at just what is delaying this arrest. "You know I never imagined we would find ourselves at 85 days — 85 days without the Florida Department of Law Enforcement [FDLE] presenting the case to the State's Attorney's Office — or without an arrest of Gardner Fraser. It's just been truly… heartbreaking and it leaves our family in awe that how — how could we be at this many days without an arrest?" Even Cervone, who oversees Baker County where Macclenny rests, is surprised by the number of days the FDLE has gone without presenting him a case, having told the Broadus family that he originally thought the investigation would take roughly 60 days. While meeting with the Broadus family April 23, Cervone readjusted their expectations. "You won't want to hear this, and I don't think it's gonna be applicable — it's not uncommon, in fact it's very common with FHP [Florida Highway Patrol] traffic homicide cases — we don't get those for nine to 12 months, which is grossly unfair to everybody." With days and weeks piling up, the strain and pain piling on and any justice for DJ an apparently distant and blurry possibility, the Broadus family and many in the larger community have set out to both mobilize for justice and to learn all they can about Macclenny, the Fraser family and Florida's infamous legal system. Two weeks after DJ Broadus was killed, the Broadus family and local and national organizations — including the Jacksonville Community Action Committee, Community Justice Project, Justice First and Dream Defenders — held town hall meetings at Emmanuel Church of God in Christ in Macclenny, with more than 100 local residents attending to share what they knew about the case and about the Fraser family. On March 5 and again on March 23, the community engaged in "call-in days" to Cervone, demanding the immediate arrest of Gar Fraser and requesting that Cervone instruct the state medical examiner to release DJ's complete autopsy. It is ultimately Cervone's decision as state's attorney which charges, if any, will be brought, and against whom. An online petition through the civil rights advocacy organization Color of Change was launched by the family March 7, and collected over 28,000 signatures by March 16. By April 23, activists and the Broadus family were able to hand-deliver more than 44,000 signatures directly to Cervone's office in Gainesville, Florida, in support of pressing charges against Fraser. The Broadus family launched a petition demanding FL. State Attorney William Cervone charge Gardner Kent Fraaser for the killing of DJ Broadus. 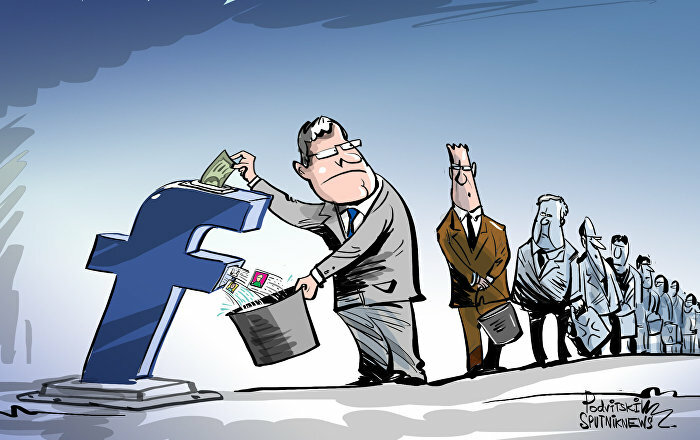 The petitioned gained over 44,000 signatures within 6 weeks of being launched. The Uncle and Father of DJ Broadus meet with State's Attorney William Cervone in Gainesville after delievering over 44,000 online petition signatures demanding the arrest of Gar Fraser. On April 21, the Broadus family organized a March for Justice in Baker County and DJ's father, Dominic Broadus, explained the community's need to take to the streets to call for justice. "Well, the 21st is the 77th day since my son's death — murder, execution-style murder — and we haven't received any information. The FDLE is still telling us it's an open investigation. We are not getting a lot of information. Gardner, who hasn't denied shooting my son, is still walking around on the streets." The family was joined by more than 150 people from Macclenny, Jacksonville, Gainesville and elsewhere in Florida, Georgia, Alabama and Washington, DC, for the march. "No justice, no peace;" "Gardner Fraser off the streets," and "Justice for DJ" were among the chants sounded off by the crowd. The march began with a prayer and proceeded to the Baker County Courthouse, the home of an infamous mural painted in 2000 tracing the town's racially charged history that depicts three Klansmen on horses riding into the sunset along with other symbols historically associated with the KKK, such as the white camelia flower and a woodpecker. 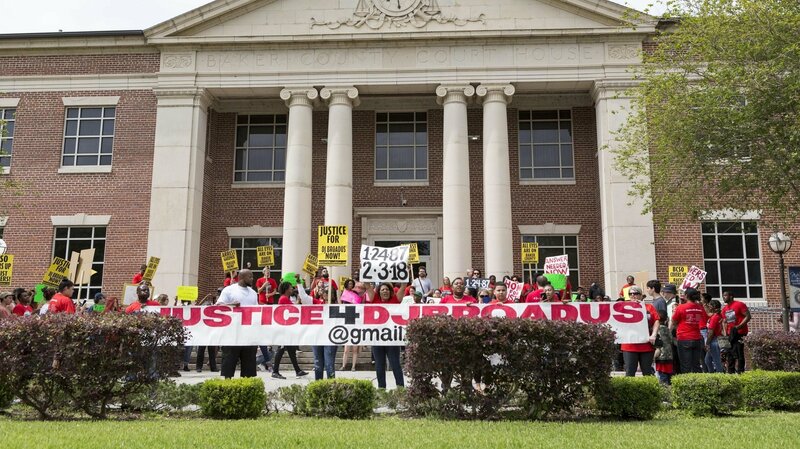 Community members gather in front of the Baker County Courthouse in Macclenny, Florida, to demand justice for DJ Broadus. photo credit Emil Ashok. Del Swain, mother of DJ, and Alauna Broadus, sister of DJ, watch as 77 balloons are released to commemorate the 77th day since DJ was killed. photo credit Emil Ashok. Organizer Michael Sampson, Jacksonville Community Action Committee, speaks to the marchers participating in the March for Justice in Baker County on April 21. photo credit Emil Ashok. Speakers at the rally put Sheriff Scotty Rhoden and the Baker County Sheriff's Office (BCSO) front and center among reasons why Gar Fraser, the son of Baker County's recently retired Deputy Sheriff Ryan T Fraser, remains free and uncharged. Part I of this story reported extensively on Ryan Fraser's own controversial history, having been re-hired by BCSO after he was fired as a Jacksonville sheriff's officer following the nonfatal shooting of unarmed teenager Jerrick Hall in 2008. Baker County Sheriff Scotty Rhoden watches from a distance as activists from throughout Florida and Alabama, Georgia and Washington, DC, gather ahead of the March for Justice in Baker County. photo credit Emil Ashok. Far more was unveiled about the elder Fraser at the rally by Brian and Michelle Wallstedt, who shared a story of death, devastation and incredible injustice at the hands of the Fraser family with an increasingly energized and vocal crowd within earshot of half a dozen BCSO employees. Brian Wallstedt, brother-in-law of Amy Thomas, tells the crowd gathered at the rally portion of the March for Justice in Baker County about the fatal car accident caused by Baker County Deputy Sheriff Ryan T Fraser in 2001. Early on the morning of April 29, 2001, Ryan Fraser, then a deputy sheriff, was parked near the Macclenny Fire Department when he witnessed Roy Joseph Whitlook aggressively speeding, going east on State Road 10. Fraser, driving a 2000 Ford Crown Victoria, turned eastbound onto State Road 10 without using his emergency siren or a seatbelt as he sped to more than 100 mph in an attempt to overtake Whitlook. It was nearly 2 a.m. when Fraser, breaking the BCSO Emergency Vehicle Operation/Pursuits General Order not to drive on the wrong side of any roadway or interstate, entered the westbound, left-hand lane to pass a vehicle that contained teenagers Kimberly Wood and Heather Howard. Wood and Howard were following their friend Debbie Griffis, who was driving to a nearby party in a 1994 Ford Ranger with her best friend Amy Thomas — Michelle Wallstedt's sister — in the passenger seat. Debbie, ahead of Kimberly and Heather, had just missed the turn into their friends' party and so pulled into the next driveway in order to turn around. As the pickup pulled back onto the highway in the westbound lane, Fraser, now also in the westbound lane heading the wrong direction, struck the girls' car while travelling at a speed of what was determined to be in excess of 100 mph. Neither Debbie or Amy were wearing seatbelts, so the force of Fraser's vehicle was enough to eject both teenagers through the spinning car's driver-side door. 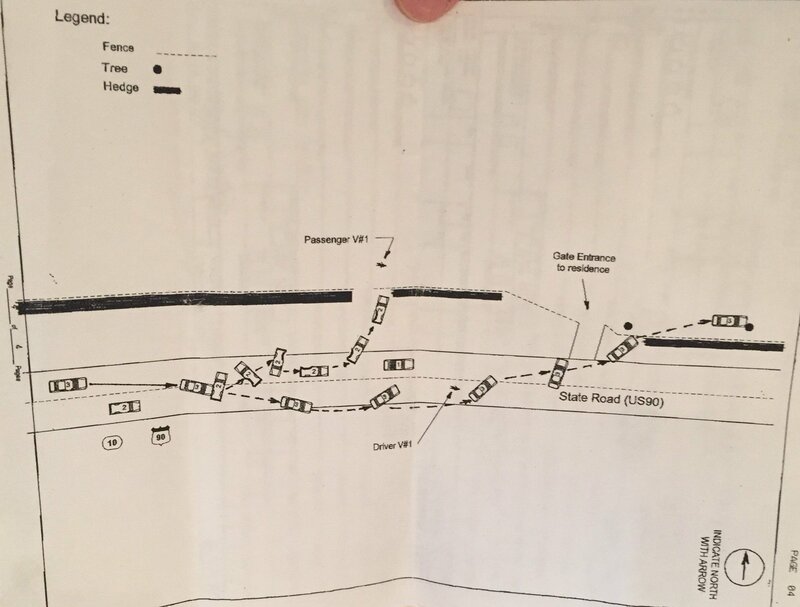 A diagram depicting the car accident caused by Baker County Deputy Sheriff Ryan T Fraser which killed Debbie Griffis and permanently injured Amy Thomas. The newspaper article from the Baker County Press reporting on the car accident caused by Ryan T Fraser. On the left Fraser's police vehicle, on the right the truck driven by Debbie Griffis. Debbie was found in the eastbound lane of State Road 10 with blunt force trauma injuries and was transported by air to Shands Hospital in Jacksonville. Amy was launched into the grassy area along the side of the highway, striking the top of a field fence. Debbie, with numerous injuries, died two days later. Amy survived the accident, but, "The whole right side of my face has been reconstructed," she told Sputnik. "There was nothing there — they reconstructed my eye socket, my cheek bone, my nose." Amy is reminded daily of the accident: haunted with survivor's guilt, required to undergo facial surgery roughly every three years and living with the scars on her body that are, in her words, "a constant reminder of how much he took from me and he walked freely. I mean, any other person that would have done what he did would have been charged with traffic homicide because what he did was wrong. He was not in a high speed chase, but it was covered up and he didn't have to pay for anything that he did and then even now, like I said, I have to deal with surgeries and taking time off of work because of it and just the everyday aches and pains." Amy Thomas, who now works as a resource officer in a local school, tells of the car accident that killed her best friend Debbie Griffis in 2001. Fraser resigned from the BCSO before being fired. Despite breaking numerous rules in the high speed pursuit that took Debbie's life, no charges were brought against him. It wasn't until 2010 that Amy says she felt what she considered to be the first semblance of justice when Fraser was disgraced and fired from Jacksonville Sheriff's Office for shooting unarmed teenager Jerrick Hall. "I thought I got my justice when that happened in Jacksonville, when his certificate was pulled. I thought, I felt then at that point — I don't want to say at that point I could breathe — but I felt that then at that point we finally got what we needed, which is what I asked for… And I felt, for the sake of me and Debbie, we finally had received our justice, and then to see those photos, and I was told that he retired from Baker County, it was a huge setback." The photos Amy referred to were photos of Ryan Fraser with his son Gar and wife, Debbie, at the BCSO on the day of his retirement in October 2017. Rather than going out in disgrace, if not with charges, Ryan Fraser was celebrated and congratulated for his time as deputy sheriff with the BCSO. For Amy, the brief moment of justice she felt seven years after the fatal crash was gone. Gar Kent Fraser and his father Ryan T Fraser at a retirement ceremony held by the Baker County Sheriff's Office on October 2, 2017. How was Ryan Fraser able to avoid serious charges and allowed to be rehired as deputy sheriff by BCSO, and then have his son be given a "Stay Out of Jail" card — at least temporarily — for a fatal shooting? A couple of possibilities present themselves, with the truth most likely some combination. Brian Wallstedt, Amy Thomas' brother-in-law explained to Sputnik, "Baker County has paid to cover up Ryan Fraser in the past, so people say ‘history repeats itself' and if his son is under attack now, I feel personally the Baker County Sheriff's Office and whoever will try to cover up for this family — this particular family in this county because the name of them and their kin folk opened our hospital and our Northeast Florida State Hospital; their grandfather got the land set up for a mental institution, so their name out here is very known along with certain others and if anything happens in their family, everything is always brushed under the rug and kept hush-hush." "Erskin Bell, Jr. was stopped at a red light on Maitland Boulevard in November 2008 when Altamonte Springs police officer Mark Maupin plowed into his car at 104 mph. The officer was ticketed for failure to use due care and not wearing a seat belt. Maupin paid a $1,100 fine and lost his driver's license for 90 days. He resigned as the department prepared to fire him," read one story in the report. In another example from 2008, a Palm Beach County deputy fell asleep while driving 73 mph in a 50 mph zone, crossed into oncoming traffic and killed a man on his way to work. The deputy was not ticketed or charged. A Pensacola officer in 2009 used a taser stun gun on a 17-year-old boy on a bicycle from his moving patrol car, trying to stop him, then ran over and killed the teen after he tumbled to the ground. That officer was not ticketed or charged, either." Well-connected, well-resourced and protected by the blue wall of silence, Ryan Fraser and his son Gar Fraser operate under a different justice system then the vast majority of Americans. Thomas, now a police officer herself, shared with Sputnik her disappointment with the family's legacy. "I have a personal relation effect from this family and to see now its been passed down to the next generation, for him [Gar] to get away with this nonsense of what he has done, it's just it's insane to me, that it just continues even with a new sheriff." That new sheriff Amy was referring to is current Sheriff Scotty Rhoden, who was there at the accident scene on State Road 10 that night in 2001, serving as a Baker County sergeant. On January 2, 2018, much like his father, Gar, too, resigned from a position of authority before he could be fired. Gar caused a black eye and had fractured the broken right orbital and right nasal bone of a hospital resident while working as a registered nurse specialist with Florida's Department of Children and Families at Northeast Florida State Hospital. Gar was to be found responsible for hitting the patient after the patient had spit on him. The hospital administrator notified Gar of his upcoming dismissal on December 7, but he managed, less than one month later, to leave the position on his own terms. Not only was Gar not fired, no criminal charges were brought and no arrest was sought, despite his violent abuse of a patient. Not only did Gar avoid charges at Northeast Florida State Hospital, but Rhoden's step daughter, Emily Martin, also avoided serious repercussions for patient abuse. Martin, after grabbing and shoving a disabled patient, was charged with third-degree felony abuse in early March of 2016. Martin was arrested and eventually pleaded guilty to simple battery, avoiding the felony charge. The state record for Emily Martin, stepdaughter of Sheriff Scotty Rhoden. Martin was found guilty of simple battery after grabbing and shoving a disabled patient at Northeast Florida State Hospital. Though the realities of a black family fighting for justice for their dead son against a well-connected white family in a small town dominated politically, socially and economically by whites are difficult enough for the Broadus family to overcome, Florida's infamous Stand Your Ground law may prove to be their toughest battle. Cervone explained the potential challenge to the Broadus family. "Florida has, to me, a bizarre and inappropriate self-defense law called Stand Your Ground, a part of that law basically tells law enforcement officers: you may not arrest unless you can disprove that defendant or potential defendant was acting under Stand Your Ground… It is a stupid law they enacted over 10 years ago. People walk away from all kinds of things because of this stupid law." The case of DJ Broadus conjures up for many some of the important elements of the case of Trayvon Martin, who was killed by George Zimmerman February 26, 2012, in Sanford, Florida, a little over 100 miles south of Macclenny. Martin was returning from a nearby convenience store to his father's fiancée's house in a gated community in Sanford. After following an unarmed Martin, Zimmerman approached him and, according to Zimmerman, Martin physically attacked him before Zimmerman shot and killed the teenager. Zimmerman, whose own father was a magistrate to the courts in the state of Virginia, was found not guilty of murder despite being the only armed person in the altercation. More recently, Stand Your Ground allowed State Attorney Melissa Nelson of Florida's Fourth Judicial Circuit not to press charges against Michael Centanni IV in the killing of Keegan Von Roberts, 22 years old, on July 20, 2017. Upon returning home late one evening, Centanni confronted Roberts over a small piece of trash that had blown off of Roberts' car. After a brief scuffle, Centanni shot and killed Roberts. Despite Roberts being on his own property and initially resisting physical confrontation with Centanni, Centanni was found justified in his killing of Roberts. Keegan von Roberts, 22 years old, was killed by Michael Centanni IV in July of 2017. Centanni's killing was found justified under Florida's Stand Your Ground laws. 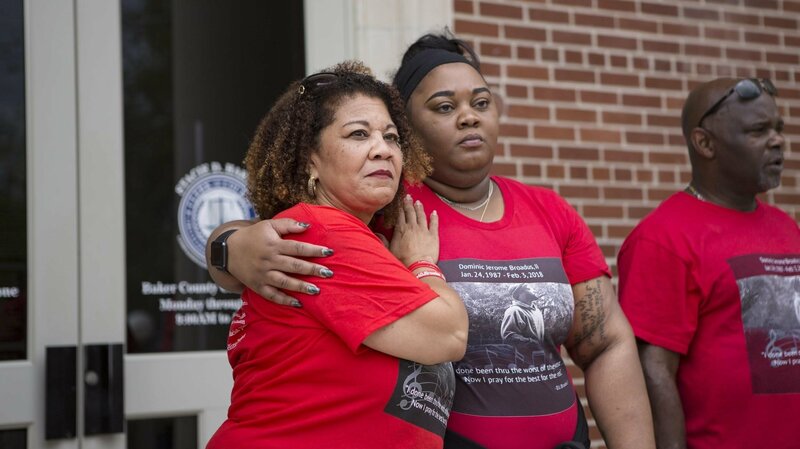 Sisi Shepard, mother of Keegan von Roberts, speaks to Sputnik News about the killing of her son in July 2017, and what she sees as an unjust Florida law called Stand Your Ground law. Sissi Shepard, the mother of Keegan von Roberts, faced the same illogical equation with which the Broadus family is now confronted. "My lawyer, John Phillips, proceeded to have meetings with Melissa Nelson, the state attorney and asked ‘what is it, what is the reason you didn't arrest this guy? '… He said, ‘you have a smoking gun.' ‘You have a man that's called 911, who said he's shot somebody; you have a body; you have a witness — his wife — and thats not enough evidence to detain him?' ‘No.'" "I have no qualms about my office handling this. You do, at least I sense that you certainly have qualms, about the Baker County Sheriff's office; you are less than enthusiastic about FDLE; and I don't think I am misstating it that you might be less than enthusiastic about us." "Whatever the outcome of this is, whether it is where you want it to be or not, I don't want anybody to say, ‘Well, it turned out that way because me my office was hooked up with the Baker County Sheriff Office.' I don't want any of that, nobody is well served by that, and I have a growing sense that could be the result here." "I am somewhat uncomfortable with my ability to do anything that you folks — you, in particular the family members, the broadening circle — will have any degree of confidence in, no matter what it is… I have a growing unease that I will be able to do anything that you will have — satisfaction is not the right word — confidence in, maybe the best word." The vanity of the state's attorney, to think he alone would have the deciding role in whether the Broadus family could have confidence in the entire legal system meant to deliver justice for their son, was striking. Yes, this is a Florida story — Macclenny, the Fraser family, Stand Your Ground — but it is also a story of privilege, of family, of connections, race and a history of injustice for so many in the US and around the world. The Baker County Sheriff's Office through Major Randy Crews declined to be interviewed for this story. The FDLE declined an interview ahead of this story citing the ongoing investigation in the case. Upon request for answers to several questions and an interview the Florida Department of Law Enforcement sent the following statement, citing the on going investigation as a reason to not provide any further details of the case to the Broadus family or media.